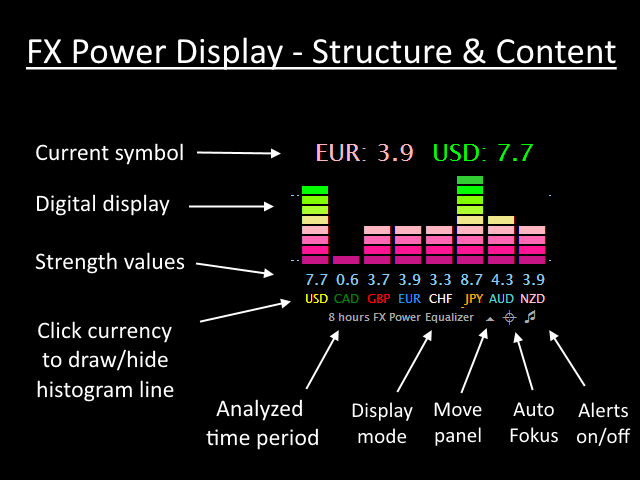 FX Power is the first real-time currency strength meter with a real-time histogram. 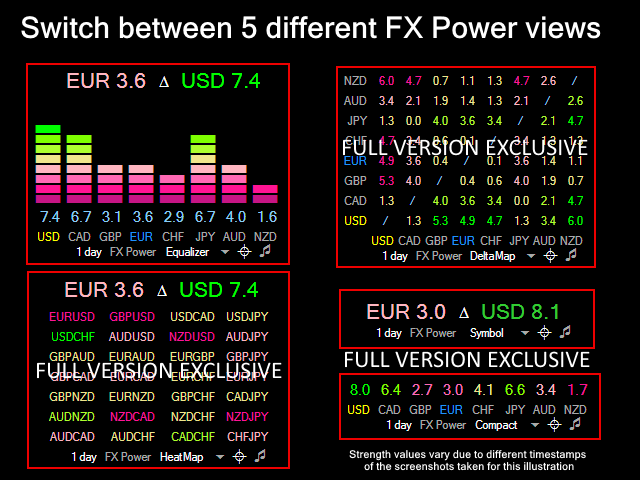 FX Power free is a feature limited version of our unique currency strength masterpiece FX Power. How to trade with FX Power? 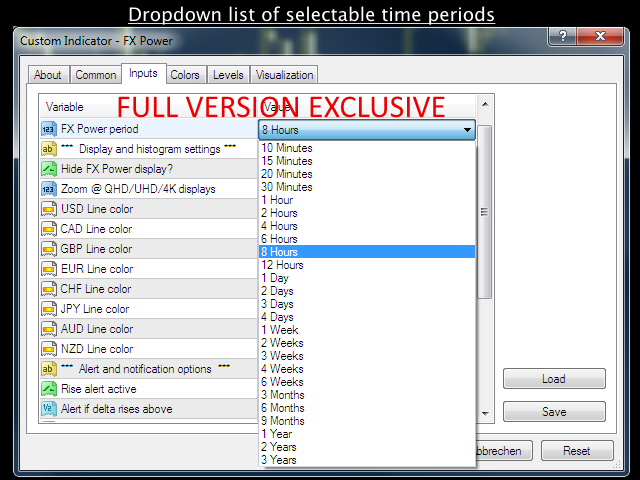 Run FX Power with different time periods to record the calculation results. 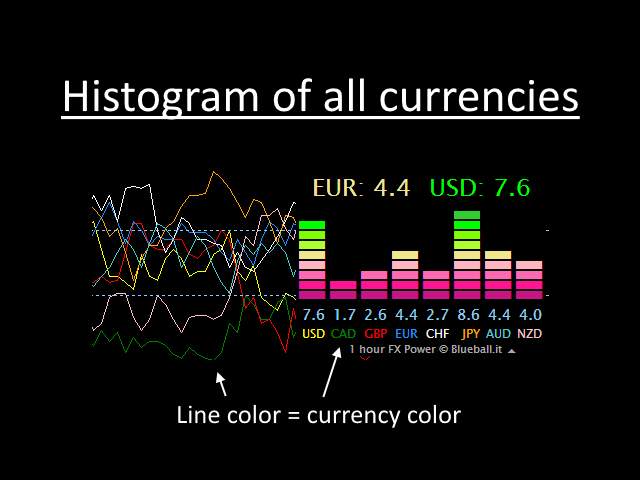 Use the FX Power histogram buttons to display the currency lines you need. Compare short and long-term analysis to determine efficient combinations.